This year I used my birthday as an excuse to splurge on some hand dyed spinning fiber from a few choice Etsy shops. Up to this point, I only had 2 criteria for new fiber. Number One, the fiber had to be mostly wool or a natural fiber which I could spin some awesome yarn from. Number two, pretty colors. No further explanation required. During the Birthday Shopping Fiber Binge, I was prompted to add a third criterion - will I actually wear or use those colors (or will any of my friends)? - and it’s all this pattern’s fault: Unleaving by Lee Juvan. Okay, a hank of my handspun named Rhonda takes some of the credit too. 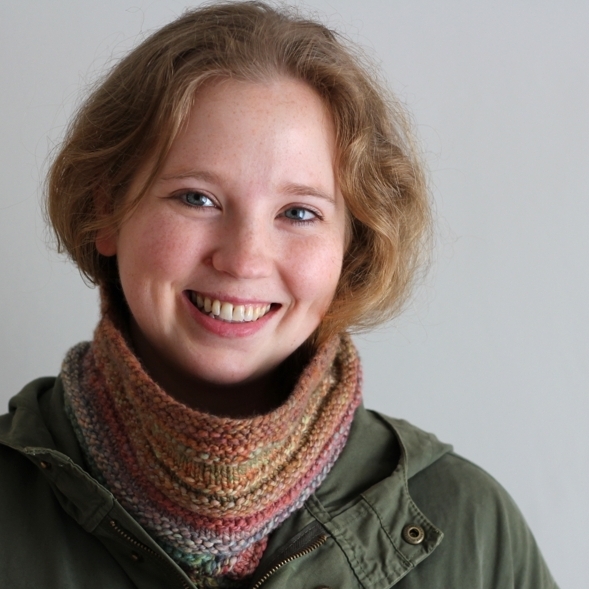 I was cleaning up my Ravelry queue and came across Unleaving which is a scarf pattern knit with handspun. I looked at the materials list and I looked at my handspun. I look again and my brain reset. In my stash was the perfect skein of handspun and it even had enough yardage. 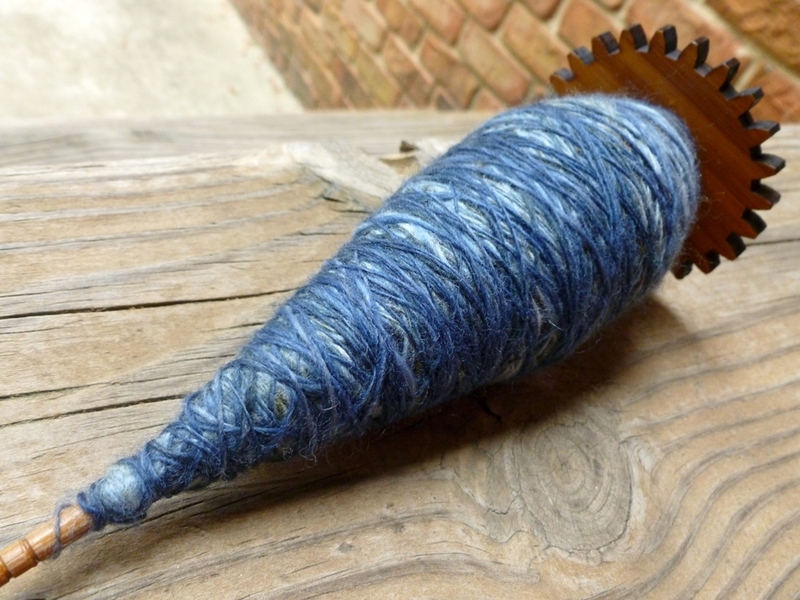 I’d spun enough yarn to knit way more than a hat or a pair of fingerless gloves. I had enough for a lacy scarf. Honestly, after more than a month, I am still really excited about this. So, when I was shopping around, I had to ask myself what the fiber would eventually become which added a whole new level of excitement. This lovely bit of Blue Faced Leicester from Yarn Geek Fibers will probably turn into a slouchy hat. Also some BFL from Yarn Geek, this bright explosion of yellow and grey will potentially become a pair of long fingerless mitts. 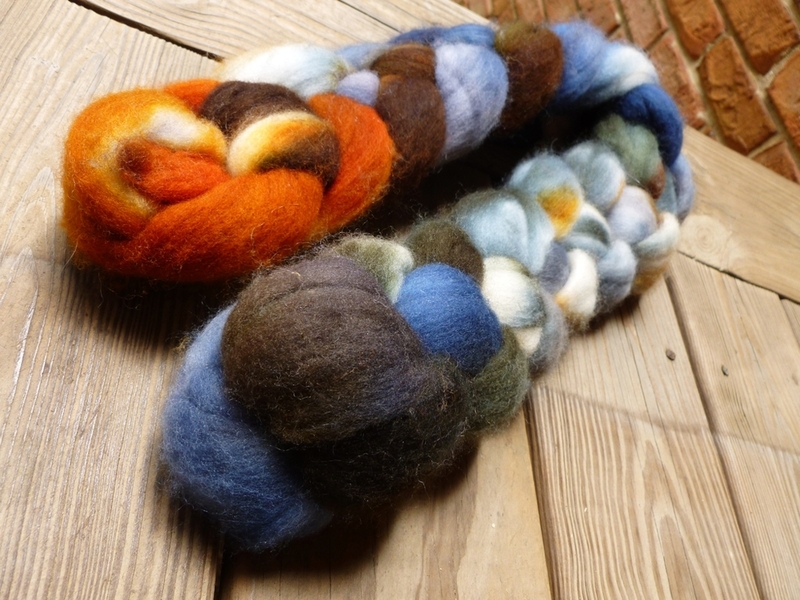 This lovely bit of superwash wool roving is from Dawning Dreams. Not too sure what this is going to become but it’ll be great.